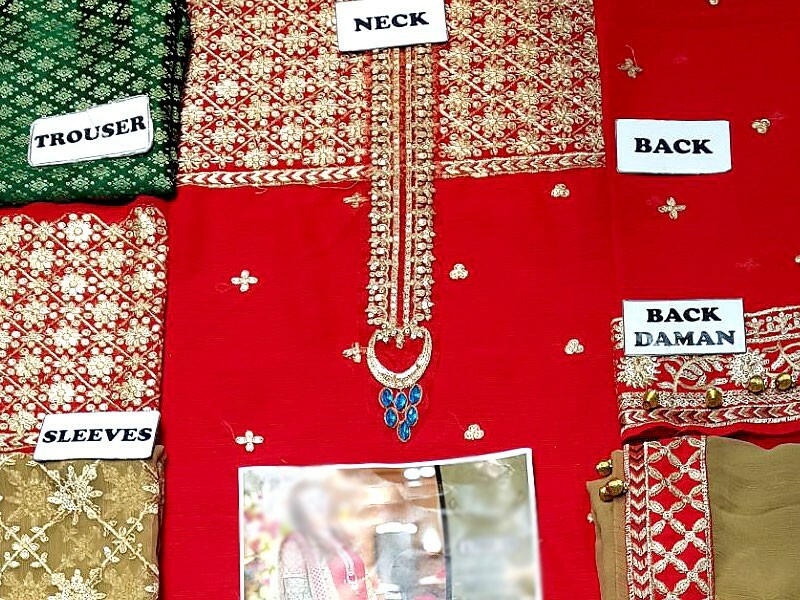 Are you looking for some nice combos to be worn at an upcoming wedding? So, what about red and green? Sounds cool, yeah. 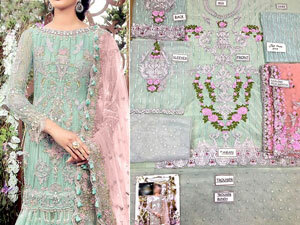 PakStyle offers a tantalizing embroidered chiffon dress in the contrast of red and mehndi green color. 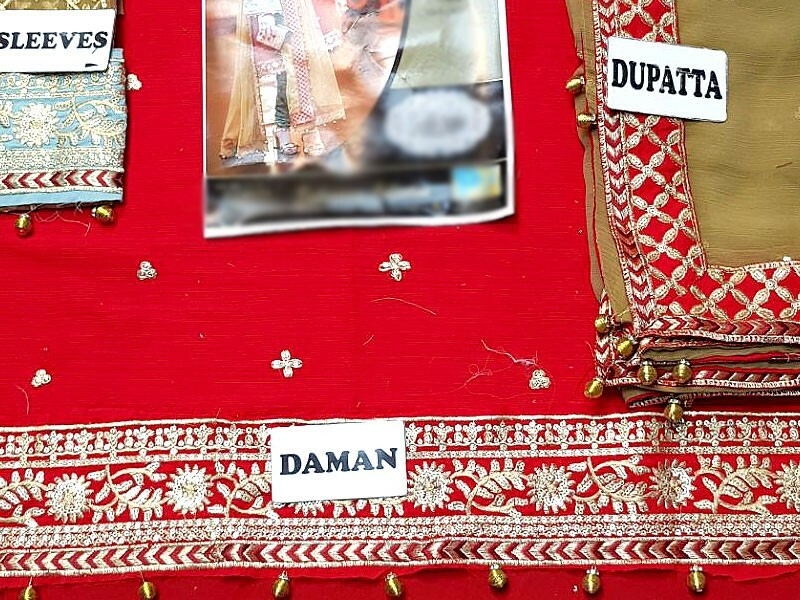 The red colored suit has a beautifully embroidered neck and daman. Also, back of the shirt is also having embroidery at its daman. 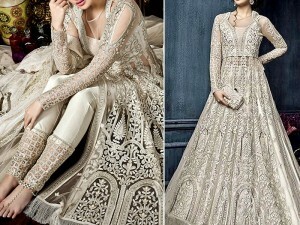 As for the sleeves, they are heavily embellished with zari and sequins work having three different patches attached to each other. 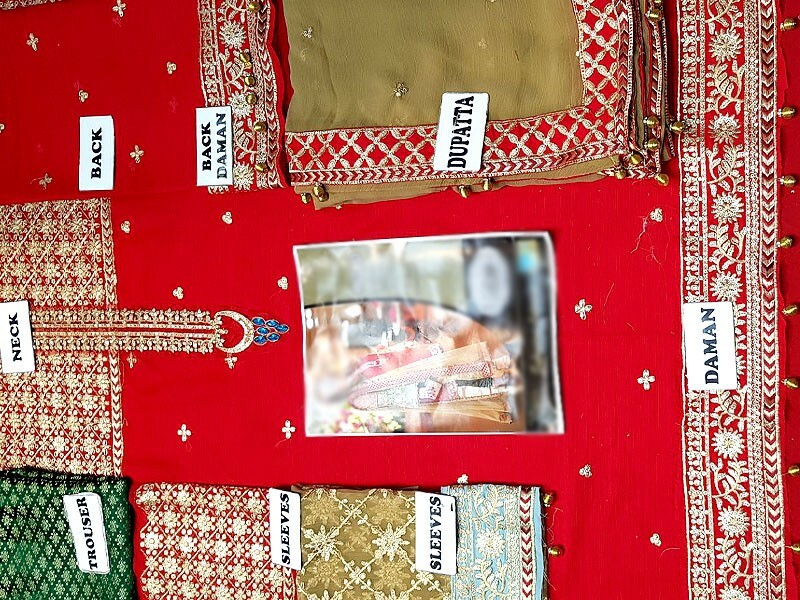 This Embroidered Red Chiffon Suit with Jamawar Trouser has silver zari and sequins embroidery work all over its shirt and duppata. The green duppata has a nice red boarder. Whereas, the trouser is made up of jamawar in green color. Duppata, shirt daman and sleeves of this alluring dress are adorned with small round tassels. 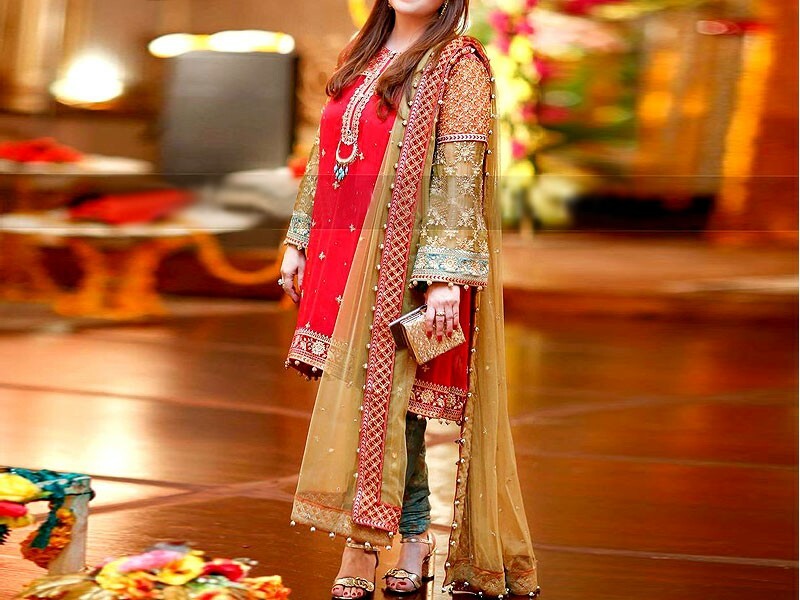 Embroidered Red Chiffon Suit with Jamawar Trouser Price in Pakistan (Code: M010535) offer by PakStyle are just Rs.2995/- instead of Rs.4500/-. 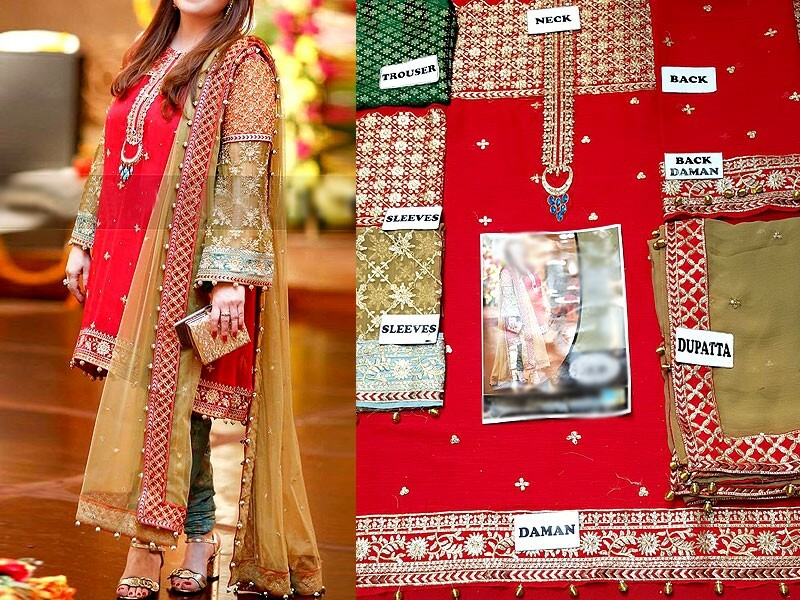 Buy Embroidered Red Chiffon Suit with Jamawar Trouser Online in Pakistan and variety of other products like Womens Clothing, Womens Dresses, Chiffon Suits, Reds Wedding Dresses at PakStyle.pk and enjoy Fast Shipping with Free Home Delivery in Karachi, Lahore, Rawalpindi, Islamabad, Faisalabad, Hyderabad, Quetta, Peshawar, all across Pakistan and get it delivered in 1-4 working days.